As a mom, I love for my children to read. I love for them to read good literature. After the kids are established in their reading skills, our focus turns to the richness of the different attributes of the literary work and the writing style of the author. 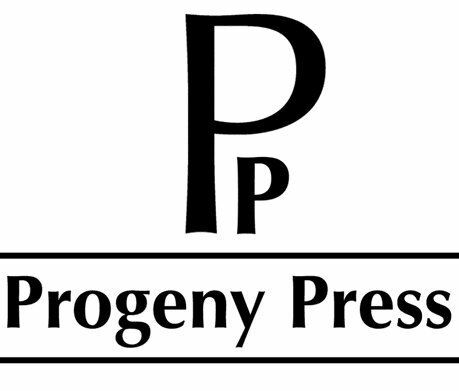 It is wonderful to be able to partner with a company like Progeny Press that provides resources in this area. Recently, our youngest who is finishing up 4th grade began working through The Door in the Wall Study Guide from this company while our 10th grader was doing a similar study on The Last of the Mohicans. Our family received two downloadable e-guides from Progeny Press: The Door in the Wall and Last of the Mohicans. Both of these guides are interactive in that the student can type their responses directly into the pdf study guides. The text boxes that the child types can expand and shrink to match your student’s response. There is also the option of printing the interactive guides for your child to complete it on a physical copy. In addition to the interactive guide for each study, we also received a second pdf file that contained an answer key for easy grading or just discussion of your child’s responses. It is expressly stated in the Note to the Instructor for each study that the original purchaser of these materials is well to reproduce them for multiple children within their own family without violating the copyright laws. The Door in the Wall guide is intended for students in grades 4-6 and contains 37 pages. Like other study guides by Progeny Press, it has vocabulary studies, reading comprehension questions, literary analysis questions, and a digging deeper section that helps the student to compare the events in the book with their own personal response based on their thoughts and values. 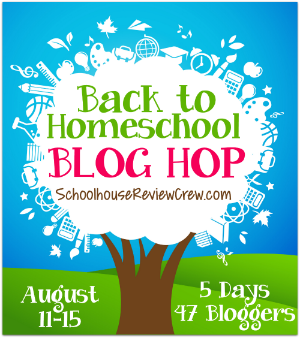 In addition to these activities, there are additional sections that provide an author study, pre-reading activities to help the student understand the context of the story, and a section of related resources that may interest the student. The Door in the Wall e-guide is available through the Publisher’s website for $16.99. The Last of the Mohicans guide is very similar in format as described above for The Door in the Wall. It is 67 pages in length and is intended for students in grades 9-12. In addition to the sections mentioned above, the Last of the Mohicans also has an essay section at the end of the study to help the student bring the study to a point of closure as well as incorporate high school level essay writing skills. Various literary techniques in writing were also explored in this study at an age appropriate level that we did not see as much of in the upper elementary level. This study retails on the publisher’s website for $21.99. The prices referenced above are for the study e-guides. The literary works can be purchased from the vendor when ordering your study guides. However, many of the studies are on books that can be commonly found at your local library or purchased from other sites in still being books that are in print. This is a huge plus in our opinion in deciding a publisher for literary study guides. When we received our downloadable files, the first step was to review the notes to the instructor. This explained an overview of how the study is layed out, how to use it, and what to expect. Once I did this, I then reviewed the study overview with our children that were using each study guide as well as the author summary and the background information. I did review, but chose not to have the children do the pre-reading activities. They were anxious to get started with the books and we spent time together discussing the main topics covered in the pre-reading activities to give them some context before beginning their reading. After this point, the kids were pretty much self-directed. The study guide is quite clear on the pages that need to be read in the book before completing each major section in the guide. The kids would spend one to three days reading the outlined sections and then the remaining days in the week completing the sections in the guide. Both of our students chose to use the studies interactively by typing in their responses. At the end of each section, I would review their work using the parent answer key and discuss any areas that they had missed or could have covered in more depth. The Progeny Press Study guides were very thorough in covering not only reading comprehension, but challenging our children to really think about what they were reading. They much prefer using these studies over some other more conventional literature curriculums that contain short stories with just a few questions. As a parent, I love that my children are being exposed to great literature and learning to not just read the words, but comprehend and process the underlying themes, plot, and character development that really make the story great. Our family has used study guides from Progeny Press previously in the middle school and high school levels. Our review of The Last of Mohicans revealed to us that our previous experience held true for these two new studies for our family. To read a copy of our previous review, please click here. This was our first experience in using a study guide for the upper elementary grades. There were two areas that were challenging for us. The vocabulary words in The Door in the Wall forced our son to move from using a Children’s Dictionary to an adult dictionary with much smaller print and many more possible definitions. This was a real stretch for him as a 4th grader. Our other challenge was that he very much wanted to do the study interactively, but did not really have the keyboarding skills to accomplish this easily. I found that his responses were more concise, because of his challenges in the area of typing. Both of these items were challenges we found from our own experience and should not be interpreted as shortfalls of the materials. They are simply areas that we will be on the look out for in using future materials that are similar. Our daughter shared the graphic nature of The Last of the Mohicans, but seemed to be able to process this well within the context of the Progeny Press study. The questions in the digging deeper sections really helped her to consider things in relation to the context of the book, Scripture, and her own values. As Christian parents, we are called to protect our children. However, as they grow, we can not force them to live in a bubble. The perspective from which the Progeny Press studies are written allow the student to read great literature that may not always align with their values, but at the same time help them to fine tune rather than compromise those same values through the types of questions asked as well as the comparisons to Scripture. If your goal is help to help your child learn to analyze literature while reading quality literary works in their full form, our family would highly recommend that you consider the study guides from Progeny Press. To see what others think, we encourage you to read the reviews from others from the Review Crew. 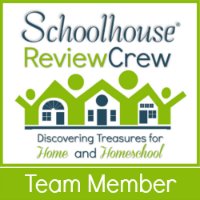 Study guides were reviewed at all educational levels so I am confident you can gain some additional perspective on how these resources can be used with your children regardless of their age and reading level.